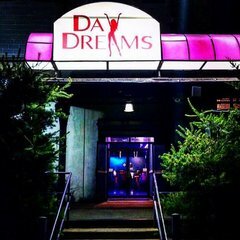 Daydreams Strip Joint is an upscale entertainment club. It offers daily performances between 2pm and 2am, featuring stunningly attractive entertainers more commonly referred to as The Jewels. VIP access provides special privileges up in the VIP Suites, including private dances and fantasy fulfillment entertainment. Security is very tight, and the establishment is known for not allowing illegal Drugs of any kind within. Agate - Seductively creative and loves to role play. She specializes in dressing up in whatever way you might like. Amethyst - Breathtaking in so many ways. She might be a witch by how she seduces with her hands. She specializes in massages and oils. Apatite - Sassy and mouthy but intoxicating to behold. If you can control her, she's guaranteed to give a wild ride. Emerald - Stunningly beautiful with a passion for spanking. Soft spoken and feisty, she is a handful unless you have a firm hand. Jasper - Seen and not heard, she enjoys sensory deprivation of any kind. The kind of girl who likes when you take her by the throat. Onyx - Naught or nice, leather and lace - but she'll pick the pace. She knows what she wants, and she'll make you beg for what she has. Pearl - Gorgeous and willing to do anything to make you happy. She's so sweet and innocent, it's easy to forget what she does for a living. Peridot - Young and innocent, with skin like milk and butter soft. She can't help but get excited when you leave marks on her.